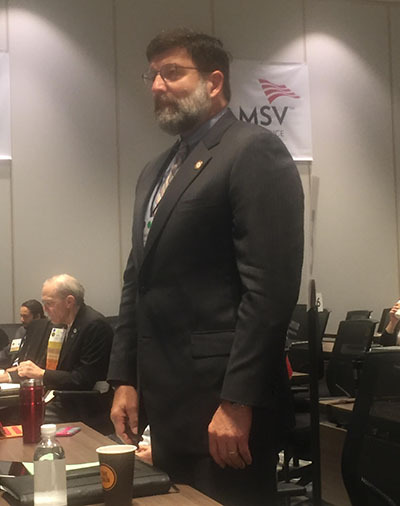 Richard Szucs has been installed as the President-Elect for the Medical Society of Virginia (MSV). The Medical Society of Virginia is the professional association for physicians in Virginia representing and advocating for the needs of physicians, and represents more than 10,000 Virginia physicians, medical students, residents, physician assistants and physician assistant students. The Society has been responsible for the creation of the State Board of Health, the State Board of Medical Examiners and the Board of Medicine, and celebrates its 170th year anniversary this year. Virginia has one of the strongest medical societies in the country, and, currently, the Medical Society of Virginia advocates for patient protection in the current managed care environment, for access to health care for all Virginia residents, and for the highest standards of quality across the state. MSV networks the various stakeholders to facilitate these goals.